Pick up the Declasse Sabre Turbo now from the Benny's Original Motor Works website in GTA Online and give this vintage muscle car a Custom Upgrade with a host of exclusive mods including V8 engine blocks, interiors, liveries, and more! Then take it for a spin and partake in Double RP Racing Playlists running through this Thursday as part of the celebratory Sabre Week. Enjoy and show off your rides in the forums! 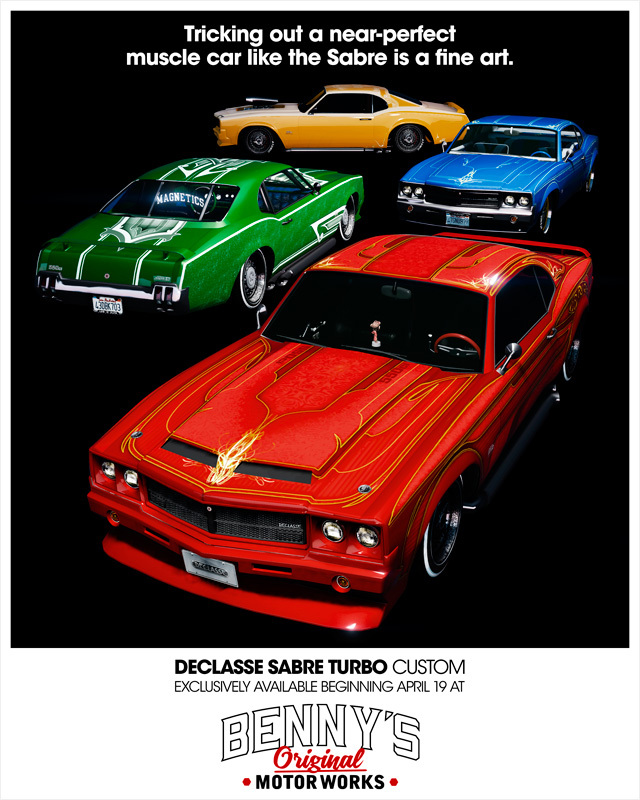 Sabre Turbo Now Available at Benny's - As promised, the Declasse Sabre Turbo is now ready for customization at Benny's.